Canada thistle is a common perennial weed in both conventional and organic cropping systems. it begins sprouting in early May in the northern US, flowering mid-June to early July. It becomes difficult to control once it produces taproots and rhizomes, because 1) it spreads and reproduces via these vegetative structures, and 2) taproots store energy, allowing it to survive from year to year. Traditionally, heavy infestations of Canada thistle were controlled using frequent tillage (every 3 weeks) throughout the season, for about 3 years until the population was depleted. However, frequent tillage damages the soil and prevents crop production during that time. Furthermore, infrequent tillage can actually spread it further, by uprooting the taproots and spreading them to other parts of the field where they can continue growing. 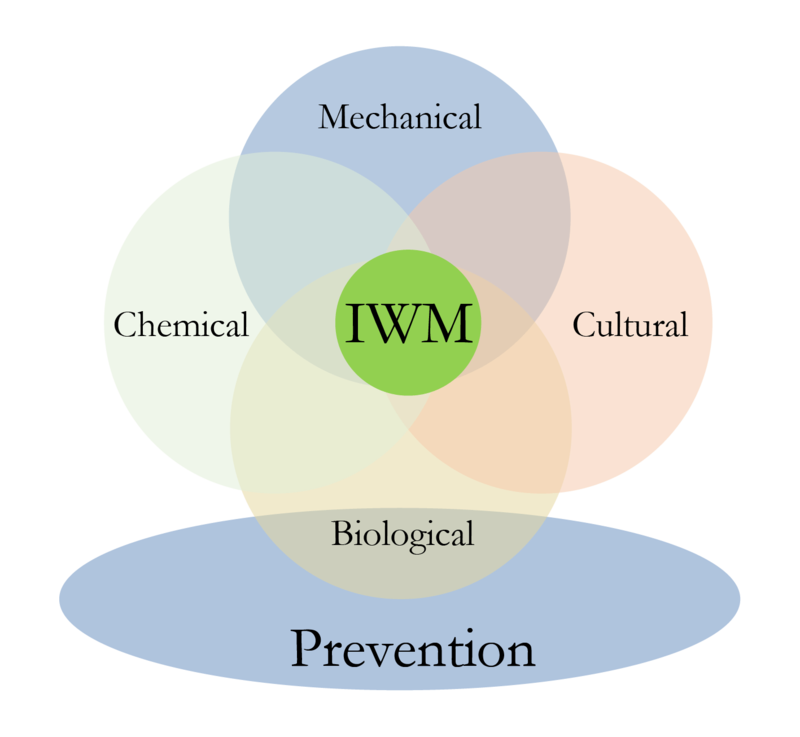 Therefore, other integrated management strategies are preferred over a tillage-based for controlling Canada thistle. Alfalfa, perennial forage, and winter wheat are more competitive against Canada thistle (CT), and rotations of these crops are very helpful tools in suppressing it, even in organic systems without herbicide options. Three consecutive years of alfalfa has been found to be as effective a tool as frequent tillage at suppressing Canada thistle (CT). The way that alfalfa grows and is managed interferes with thistle growth. The frequent mowing that occurs in alfalfa means that thistles are being repeatedly cut down by the mower, depleting their energy reserves. Perennial grasses harvested for forage also suppress Canada thistle growth in this way. Another way these crops (winter wheat, alfalfa, and perennial forage) help control CT is that they emerge and grow earlier in the season than CT; by the time this weed emerges, it is shaded and out-competed by the crop. In contrast, this weed can thrive in other crops that are planted later, like spring wheat and corn. These crops do not emerge early enough to out-compete CT. The weed grows and invades before the corn has a chance to develop a canopy large enough to suppress it. A study found that in the absence of herbicides, CT density increased over time in spring wheat, even with moldboard plowing. 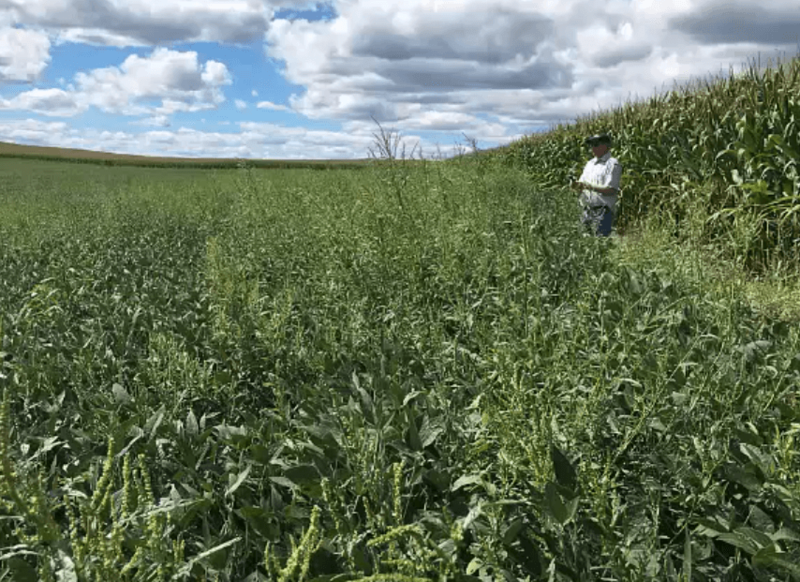 Corn presents an additional challenge for thistle control, because its late harvest time prohibits effective control of thistle before it goes dormant for the winter. Earlier planting dates for winter wheat in the fall result in thicker crop canopies in the spring that better suppress CT emergence. A 2008 study found that when winter wheat was planted on September 10 instead of three weeks later on October 1, it shaded the soil surface three times better by May, when Canada thistle typically emerges. This results in better weed suppression by the crop itself. The goal of earlier planting dates is to establish a healthy crop canopy before thistles would emerge in late spring. After fall grain harvest, fields should be scouted for newly emerged CT as well as for escaped mature plants. Knowing where they are in the field allows them to be controlled via herbicide burndown or chisel plow+cover crop before they reach winter dormancy. While CT suppression is more challenging in corn and soybeans, decreasing corn row spacing is one method to help out-compete emerging weed seedlings, by shading the soil. One study found that decreasing row spacing from 30 inch to 15 inch decreased sunlight to the soil by 30%. Certain cover crop programs create a mulch on the soil that suppresses Canada thistle and many other weeds prior to planting a summer cash crop. Planting a vigorous cover crop such as cereal rye in the fall and overwintering it into mid-spring can create a very high biomass cover. 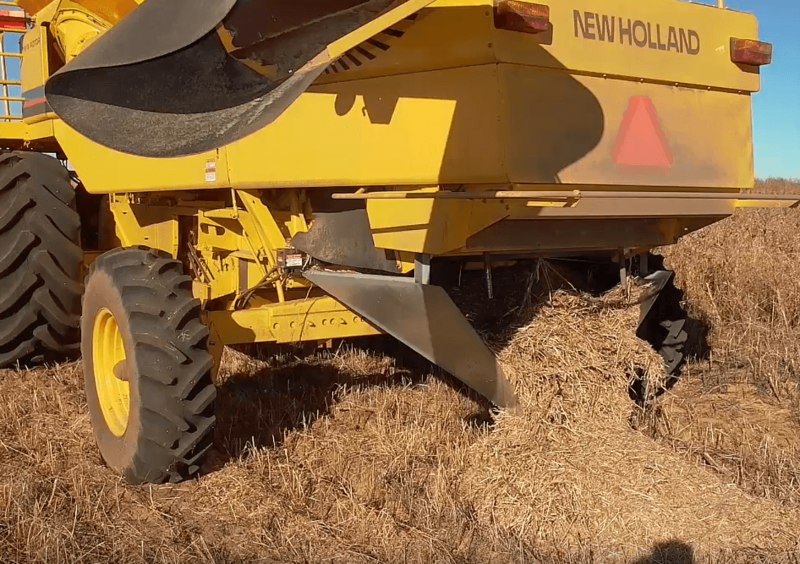 By rolling the cover crop down using a roller-crimper and/or an herbicide burndown several weeks prior to crop planting, the cover crop dries and creates a thick weed suppressive mulch. The formation of high cover crop biomass is critical to successful weed suppression. If the cover crop is not thick when it is rolled down, it may not cover the ground enough to adequately reduce weed emergence. Cereal rye is recommended for this purpose, and it should be planted as early as possible in the fall. In conventional systems, an herbicide burndown can be used in addition to, or in place of, the roller-crimper to terminate the cover crop. Please find more information about cover cropping and roller-crimpers here. Livestock can be used to manage Canada thistle is pastures. The best time for grazing is mid-June to early July when the thistles are producing flowers. Damaging the plants at this point in time will weaken them more than at other times of the year. While livestock may avoid this plant at that time due to its spiny leaves, rotational grazing at higher stocking densities decreases avoidance. CT populations can be eliminated if animals eat most of the plants for 2-3 years. However, populations will still reproduce and persist if grazers do not significantly damage the plants. 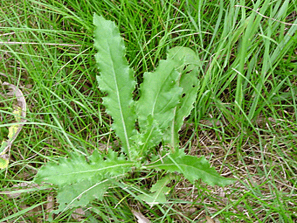 For best results, effective herbicides should be applied when Canada thistle plants have flower buds, but not fully developed flowers: mid-June to early July, or in the fall after mowing or grazing. Applications outside of these timeframes will result in lack of control because the plants will have enough reserved energy to survive and reproduce. Fall application is effective becuase in the fall, the plants are going dormant by relocating carbohydrates (energy) from the shoots down to the roots. If herbicides are applied on them then, the herbicides will be relocated down the whole plant as well. According to the University of Wisconsin Extension, >90% control for up to two years may be achieved by applying the effective herbicides at the labeled rate and at recommended timing. Please contact your state or county extension for regional-specific information about herbicide recommendations. Recommendations from several states are listed below.